The office environment is going through a period of transition: digitization now makes it possible for us to work in any place at any time. Employees see this change as giving them more independence, while companies hope to achieve sustainable levels of productivity from motivated staff. 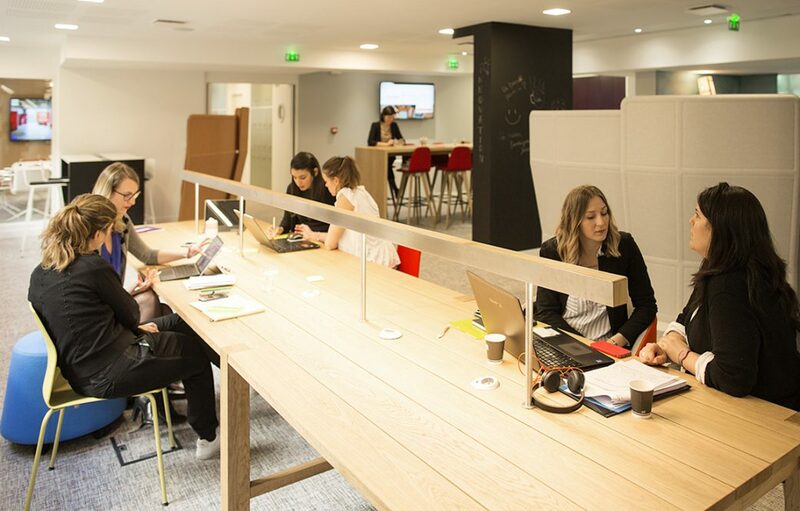 This is where the French planning agency Génie des Lieux comes in with an innovative approach: the first “Bureaulib”, a coworking space in Paris available to single users or teams, has opened its doors to company employees. 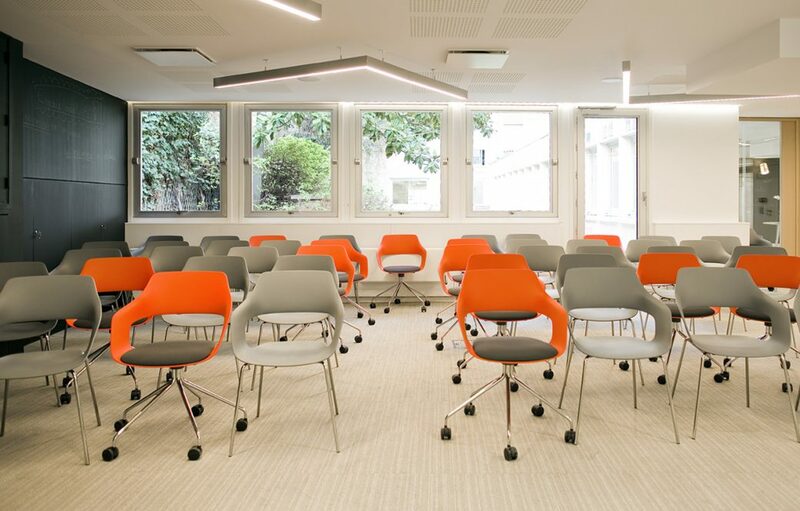 Single desks for concentrated working, conference rooms for meetings, spaces for informal communication – over 500 square meters, Bureaulib provides a wide-ranging infrastructure for up to 70 office workers. It aims to be flexible enough to mirror the requirements of working on company premises while at the same offering more comfort and convenience than is typical for a home office. Compared to other coworking spaces, Bureaulib also sees itself as a kind of laboratory – in other words, companies can use it to try out and discover innovative office styles and ways of working. Working and creative brainstorming, while sitting or standing – the furnishings reflect all conceivable situations. Occo chairs and Timetable tables from Wilkhahn underscore the furnishing ethos to ensure maximum flexibility in dynamically-used spaces. 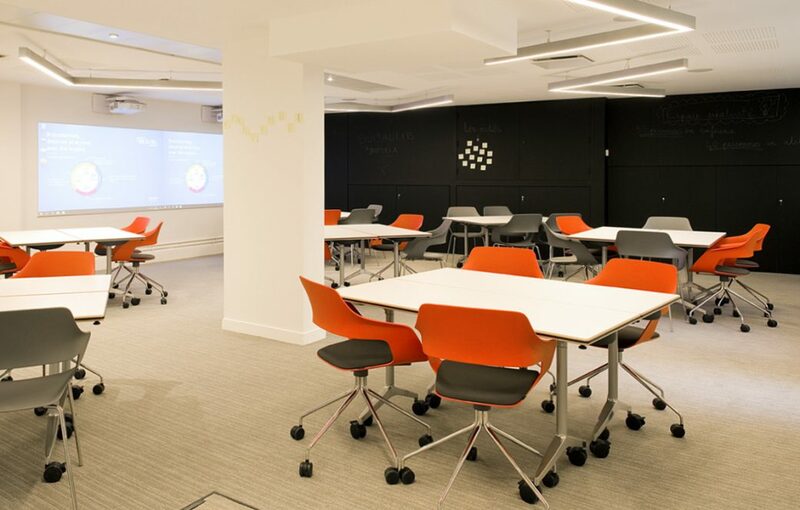 As just one example, a lecture hall can be transformed into a conference or group work room with little effort. The characteristic opening in Occo’s molded seat makes it possible to stack four-legged models not currently in use and put them to one side. And the mobile Timetable foldable tables are easy to position in any formation, allowing users to retain their workflows in the home office 2.0.